OZONE VTT Cycles has a repair shop and assemble complete bikes, the mechanics are qualified and are up to date on all the newest components. We have two workstations, fully equipped. We can perform all types of repair of the bike. We have many parts and components in stock for maintenance and repair of all types of bikes. 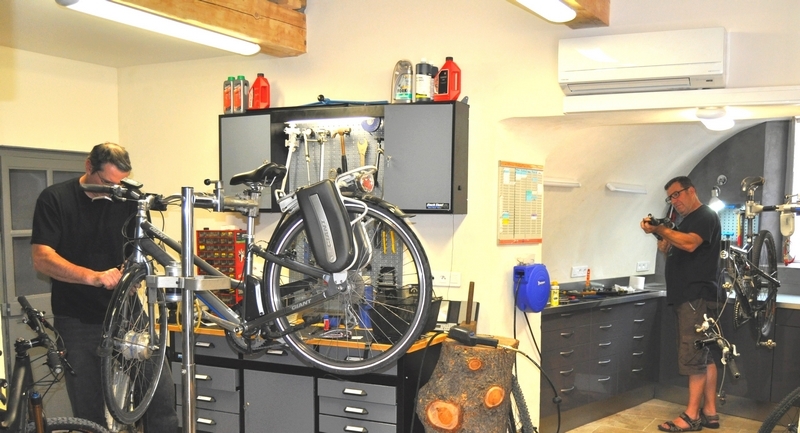 We spend a lot of time at work in the workshop to secure your bike in the shortest possible time. We can also help you out by putting a bike at your disposal during repair your bike. We maintain and review all types of bikes and all brands. We provide service of distributed brands in our store. Bring your bike to the shop for a free diagnosis. Mechanics is not an exact science, we will make an accurate estimate of repairs, we calculate the price at the fair and will not make repairs and replacement of parts without your permission.